We’ve discussed in previous posts how to set up and improve your live stream. 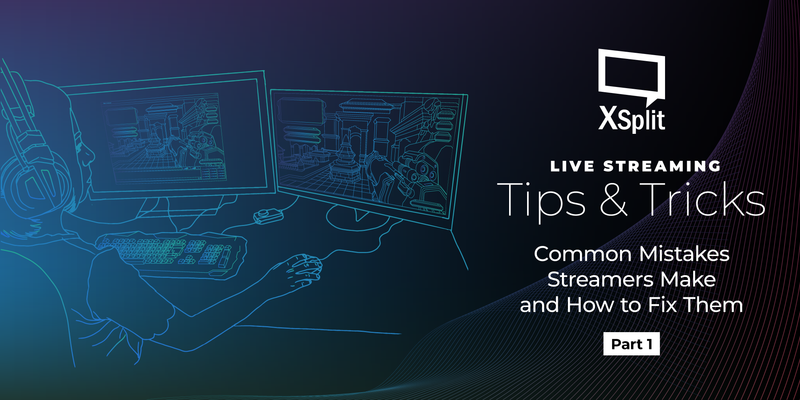 Today we’re going to focus on some common mistakes that can be made while broadcasting from a live streaming app like XSplit Broadcaster! A common complaint a lot of new streamers and more established ones get is “I’m getting a lot of buffering!” or “lag!” from the chat. While sometimes it can be put down to the viewers personal connection, when everyone is saying it, something may be wrong! While broadcasting at 4K 60FPS can be awesome, a lot of people can’t stream that. We recommend stepping down to 720p if this is an issue. In XSplit Broadcaster, this can be changed in the top right corner. Also, be sure to check your bitrate, a higher bitrate can mean a smoother image but it can lead to the same problems. In XSplit Broadcaster head to the Outputs menu and click the cog next to your channel name. 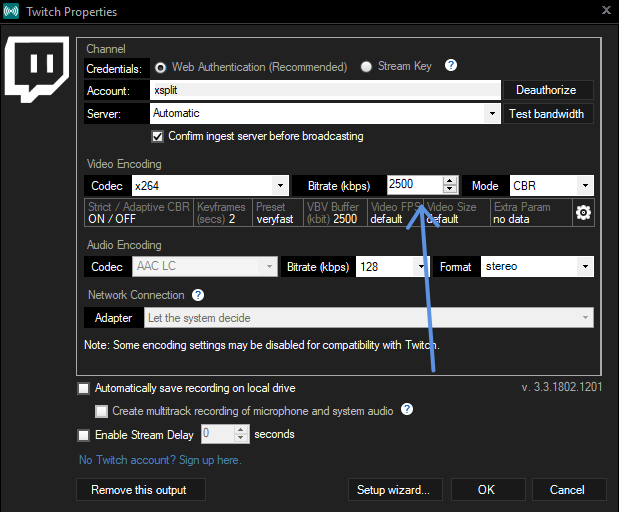 From here you can raise or lower the bitrate and see what works best for you and your viewers! 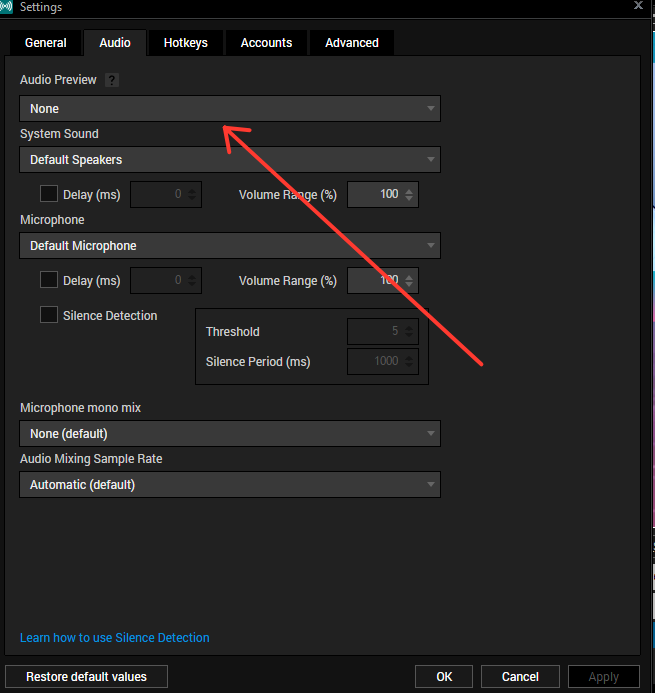 “The game is too loud!” “You’re too loud!” can be other common complaints and in XSplit broadcaster this can be easily remedied without the aid of an external mixer. Head to settings, then audio and turn on Audio Preview. This will feed you all the sound going out to your broadcast, which will make monitoring and adjusting all the easier! This will also fix another common problem, starting the stream with your microphone muted! Too Much on ScreenWe love a good overlay but sometimes people can fill up the screen with far too many gifs, words, images and all sorts! Keep it simple, what do people need to know? What is aesthetically pleasing while at the same time communicating something to the viewer? 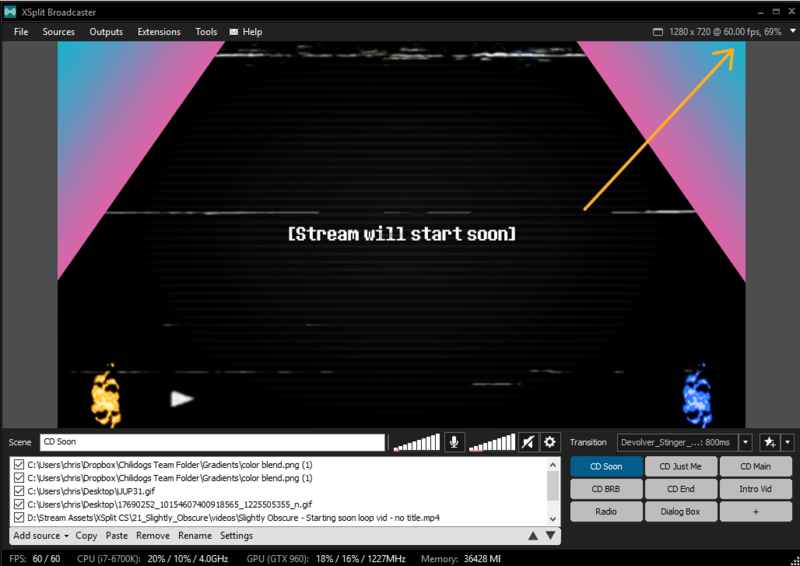 Our solution, hit up https://player.me and get yourself an overlay which combines everything in one simple link you can paste in to XSplit Broadcaster (or any live streaming app) as a source! Simple, elegant, powerful, it’s the player.me way! Do you have any other common mistakes you see streamers making? Let us know and we can find a fix for them in part two!